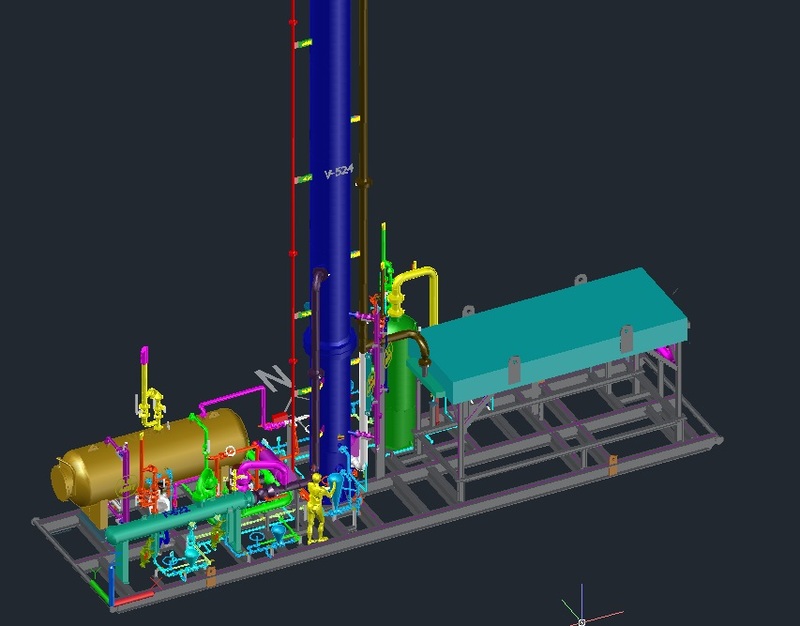 Detail design of 60 GPM Amine unit consisting of Frontend, Regeneration and Air cooler Skid. This Amine unit consisted of Amine contactor, Heater, Regenerator, Heat exchangers, Air cooler and Pumps. ♦	Structural Analysis : Performed Structural Analysis in STAAD PRO for Lifting, Transportation and In-Place cases. Also provided BOM for Structural Steel for skid and pipe support. ♦	Piping Isometric Drawings : Provided Isometric drawings with BOM and Pipe support details for all lines (about 60) in the skid. ♦	Equipment & Piping Layout .